Living… in Norland Park, although not for long. Mr. Dashwood’s dying wish was for his son, John, to take care of his second wife and three daughters, Elinor, Marianne and Margaret. But John was persuaded by his greedy and selfish wife, Fanny, to go against his father’s desires. John and Fanny take over Norland Park and the Dashwood women are forced to look for housing elsewhere. They end up in Barton Cottage in Devonshire, thanks to the kindness of Sir Middleton, a cousin of the widowed Mrs. Dashwood. Profession… unemployed, but it’s the 1790s, so women aren’t expected to find work. They find stable futures (or sometimes, unstable ones) by marrying into well-to-do families. Interests… piano, poetry, and romance. Marianne loves expressing herself and channels her emotions into everything she does. She plays music and recites prose with passion and often berates others, like Edward Ferrars and Elinor, for responding with inadequate sensibility in their day to day lives. Relationship Status… infatuated with the dashing John Willoughby. Marianne has ardently expressed her love and admiration for Willoughby ever since he carried her home after she fell in the rain while she was out walking. Colonel Brandon, a friend of the Middletons who has fallen in love with Marianne himself, seems to have reservations about the match, but he keeps them to himself. Challenge… adjusting to life at Barton Cottage. Her relatives, the Middletons, seem keen on the idea of her being married to the grave but gentlemanly Colonel Brandon. Marianne, however, thinks he’s too old and incapable of inspiring passion in anyone else. 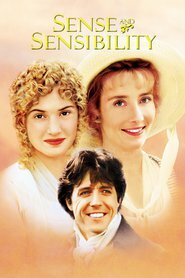 She would rather be the wife of handsome Mr. Willoughby and works to gain his affections. Personality… impulsive, emotional and idealistic. Marianne Dashwood is the very opposite of her more sensible sister, Elinor. There is nothing Marianne loves more than the idea of love itself: “To love is to burn – to be on fire, like Juliet or Guinevere or Eloise.” She’d happily die for the sake of romance. Marianne Dashwood's popularity ranking on CharacTour is #2238 out of 5,000+ characters. See our top-ranked characters and read their profiles.